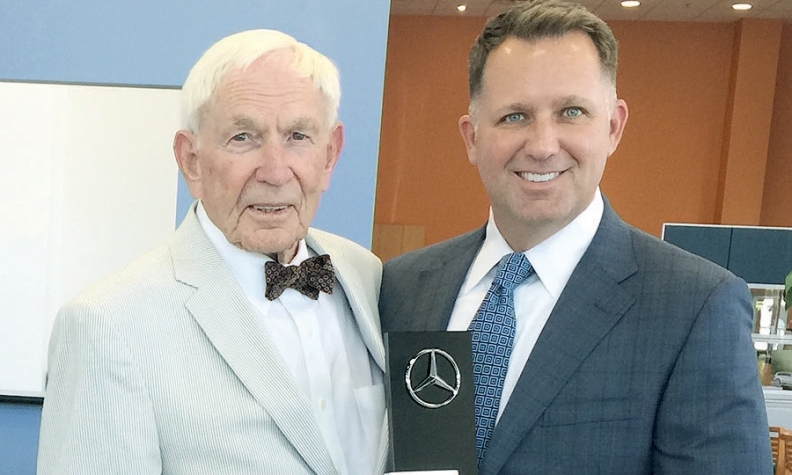 PICTURED ABOVE: Gordon Faulkner, left, dealer principal of Mercedes-Benz of Hilton Head in Bluffton, S.C., receives a 30-year award from Andrew Noye, general manager of Mercedes-Benz USA's Southern region. 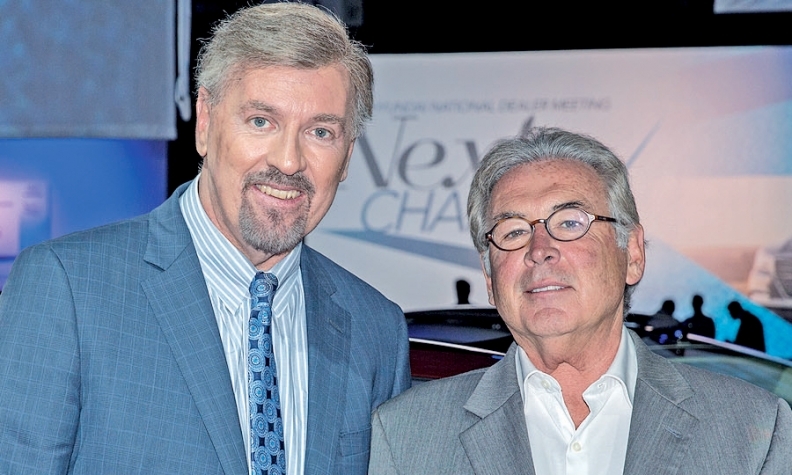 Donald Bessette, right, of Don Bessette Hyundai in Minot, N.D., received a 25-year award from Dave Zuchowski, CEO of Hyundai Motor America. 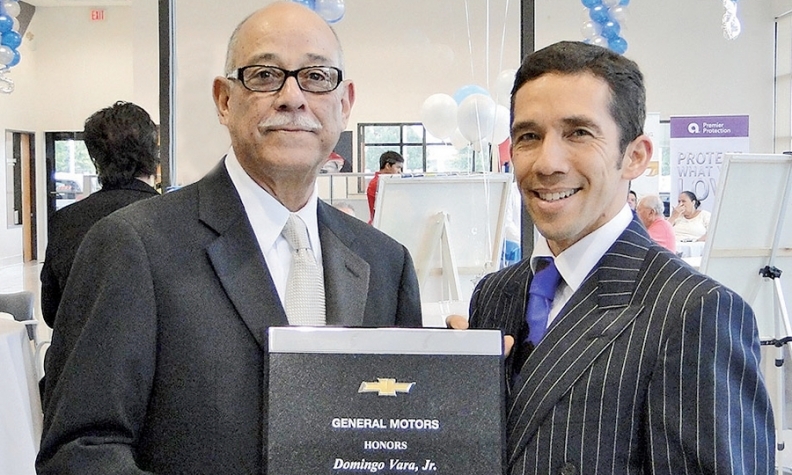 Domingo Vara Jr., left, dealer principal at Vara Chevrolet in San Antonio, received a 25-year award from General Motors. With him is his son, David Vara, the general manager.